This is a guest post by Steve Umstead/ *Please note that Emlyn wrote a similar (although far less extensive) post here./ Fellow authors, I’m going to take this time and space to chat a little bit about your platform. I’ll preface this by saying I am by no means an expert, as I’ve only been marketing my work for a few months, but I do have a long background in marketing my own company. 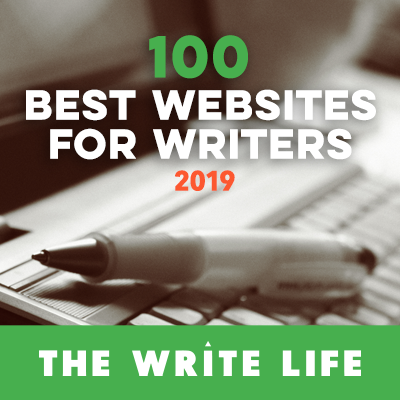 In the “real world” (sorry if that offends any authors; right now my writing is a part-time gig, but perhaps in the future…) I started an online services company almost 10 years ago, and have been solely responsible for the marketing and advertising since day one. I believe our company has built an excellent reputation within the industry, both with partners and customers, and has a strong professional and friendly ‘brand’ in the marketplace. And that’s what we’re talking about here with your author platform – you’re building a brand, and it needs to be done the right way…or not at all. One misstep, especially in today’s instant-access online world, could doom your brand and force you to start all over again with a pen name (if you even can). Now that that doom and gloom is out of the way, what is a platform? Like a politician, it’s what you stand for; like one made of wood, it’s what you stand on; like a pool, it’s what you leap off of every time you perform. It’s essentially an all-encompassing marketing strategy for your novel, and maybe more importantly, for you as an author. 1. Twitter – Odds are if you’re reading this, you’re already on Twitter, so me telling you “go sign up for Twitter” and how to do it would be a waste of keystrokes. It’s an excellent tool for networking, sharing, learning, promoting, being promoted, and much more. Honestly, so much more than I initially thought it was (I always thought of Twitter as being an outlet for NBA players to butcher the English language in 140 characters). However in building your brand, there are some dos and don’ts with Twitter. Do send interesting and useful messages – think about every tweet you send, is it worth someone’s time to read, did I help them in some way, whether informative, humorous, thoughtful? Will someone retweet it? Do leave room for a proper retweet – count the number of letters in your Twitter name and add six. That’s the magic number for the characters to leave; that way someone can retweet your message with “RT @yourname: ” without having to rewrite/truncate your message, and your name will be attached to the new message (more publicity). Do have a well-written, informative profile – saying “I like kewl stuff, you shud 2!” as your profile doesn’t exactly lend itself to picking up quality followers. Talk about you, your work, what you do, who you are. Don’t tweet incessantly about your book and your book alone – doing this turns your Twitter feed into a pseudo-spammer, and turns people off to any other message you may send. You may grab a sale or two, but no one wants to read nothing but sales pitches. I read somewhere that 10-15% of messages should be sales-related, the others informative or retweets of others, and that sounds like a pretty fair number. Don’t ignore others – Twitter is a community at its very heart, and other authors are out there. Show an interest in their work, start conversations, join in discussions, and others will do the same for you. 2. Facebook – Many of the same Twitter rules hold true here; spell correctly, make your messages worth someone else’s time, don’t spam, etc. But on Facebook, your messages can be (and should be) larger and more personal. Don’t just link your Twitter so that all your tweets show up on your Facebook feed – people can spot that a mile away. Take the time to write in that 400+ character box. Make friends with other authors. Share their links on your feed, they may do the same. 4. Blog – This may be the most in-depth and most important one of all for a writer. A blog is almost a requirement at this point! This is where you as the author can fully express your thoughts, feelings, information about your work, reviews of books you’ve read, links to other authors and blogs, links to where to buy your book, and so much more. Link your blog with Twitter and Facebook, subscribe to other blogs, post on them, and watch others reciprocate. Offer to host other people’s blog posts, interview other authors, network the blog with other blogs. Maybe most importantly, this is where you show others who you are. Your writing style, personality, knowledge (or lack thereof – be careful!) can all come through in what and how you write. I had a discussion a few weeks back with a fellow author whose novel wasn’t being published until the end of this year. His plan was to wait for the novel to be released, then start a Facebook author page and start talking about it on his blog. I respectfully said to him he had it backwards – an author needs to have a platform in place right away, maybe even before he or she commits one word to paper. Building a platform is an ongoing process, and the more you can “build it out” the better off you’ll be later. You as an author are trying to create and promote a brand, to get the name out there, to establish that good reputation from day one. In closing, I’ll state that establishing a platform to promote you and your novel is vitally important for independent authors, not only for those who plan to self-publish, but also for those looking for a traditional publishing deal. Traditional publishers are not a writer’s personal marketing department – on the contrary, they probably have hundreds or thousands of authors to promote. An indie author has a hard time breaking into anyone’s top 100, whether it’s the publisher, agent, or distributor. Marketing, effective marketing, will always fall on the shoulders of the author. Better start now.